Crown HealthWise > Health Tip of the Month > Are Your Gums Healthy? Gum disease, also called periodontal disease, is caused when bacteria in plaque builds up between the gums and teeth. When the bacteria begin to grow, the gums surrounding the tooth can become inflamed. If left untreated, this can lead to gum recession or even tooth loss. Age, smoking, diet and genetics can all increase your risk for periodontal disease. In addition, research has shown that gum disease may be associated with other diseases, such as diabetes and heart disease. 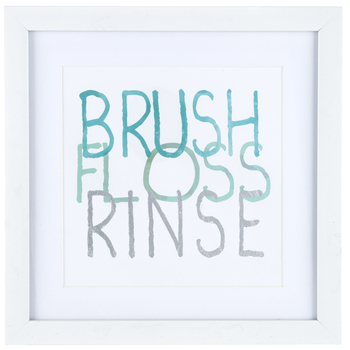 Prevent periodontal disease by adding these habits to your daily routine. Brush your teeth. Brushing after meals helps remove food debris and plaque trapped between your teeth and gums. Don’t forget to brush your tongue. Floss daily. Flossing at least once a day helps remove food particles and plaque between teeth and along the gum line that your toothbrush can’t quite reach. Rinse with mouthwash. Using a mouthwash can help reduce plaque and any remaining food particles that brushing and flossing missed. Regular dental exams and cleaning visits are essential in maintaining the health of your teeth and gums. In addition, regular checkups can help your dentist identify and treat problems early before they become costly. To learn more about oral health, visit www.mouthhealthy.org.